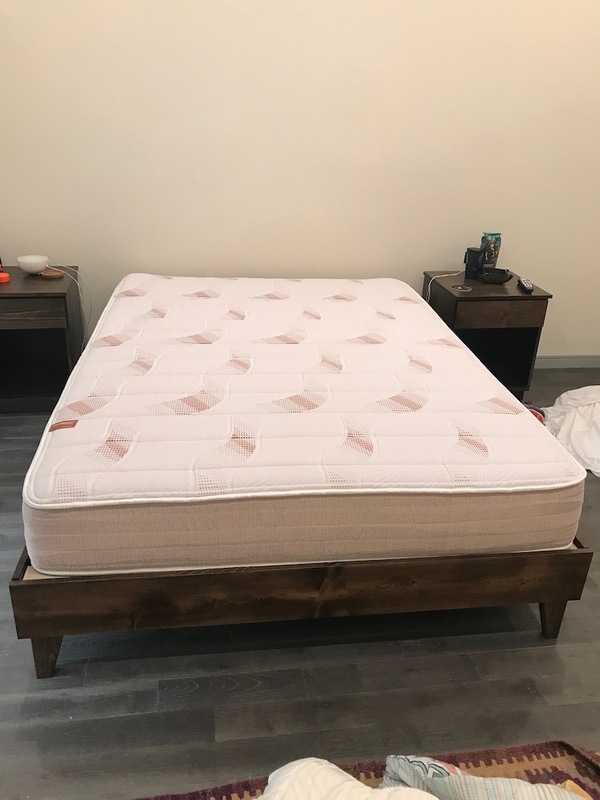 Pangea Mattress Review was recently completed by the MattressJunkie.com team. 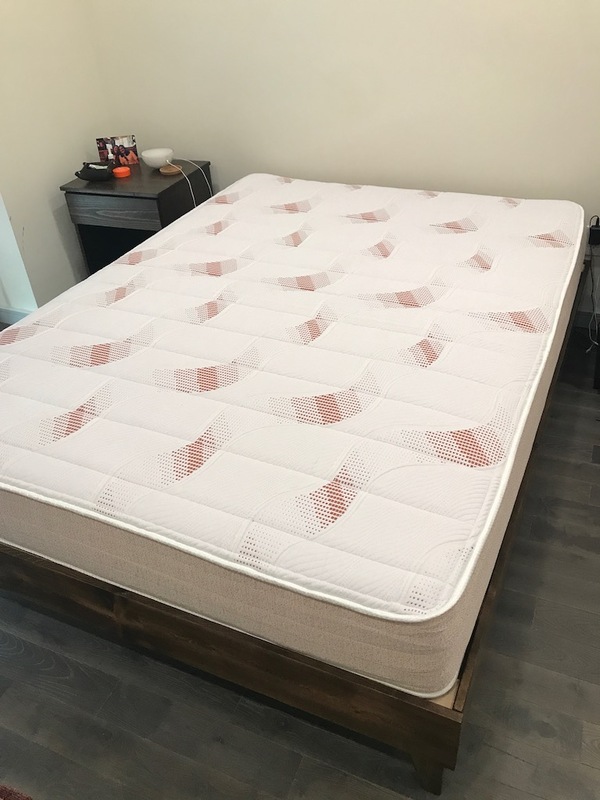 Pangea sent over a queen mattress for our review.Cleaner sleep is something we all want so Pangea’s Talalay Latex mattress features an antimicrobial, antibacterial, hypoallergenic, copper layer to naturally inhibit germ growth. Scientists are speculating that our beds are the source of allergies. Humans produce 26 gallons of sweat in bed sheets each year. After just one night, your bed can accumulate bacteria, fungus, dead skin, and mites. As disgusting as that is, Pangea can provide you with a cleaner, healthier sleep. Check out what we thought about the Pangea Mattress below. Tell me more about Pangea Mattress cover. 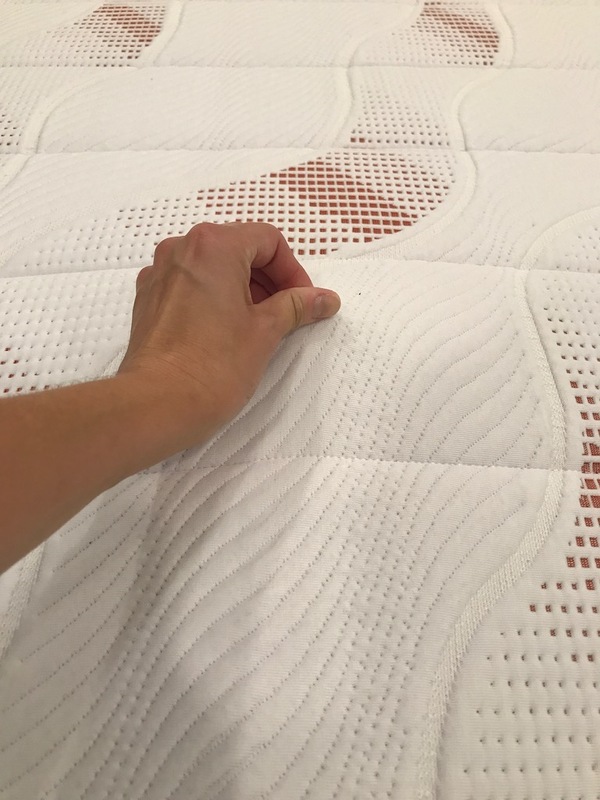 The Pangea Mattress has a soft, quilted cover made of hypoallergenic material. The design is nice and subtle as you can see from the photos. What’s under the Pangea Mattress cover? Pangea Mattress’ top layer is 100% pure Talalay Latex. 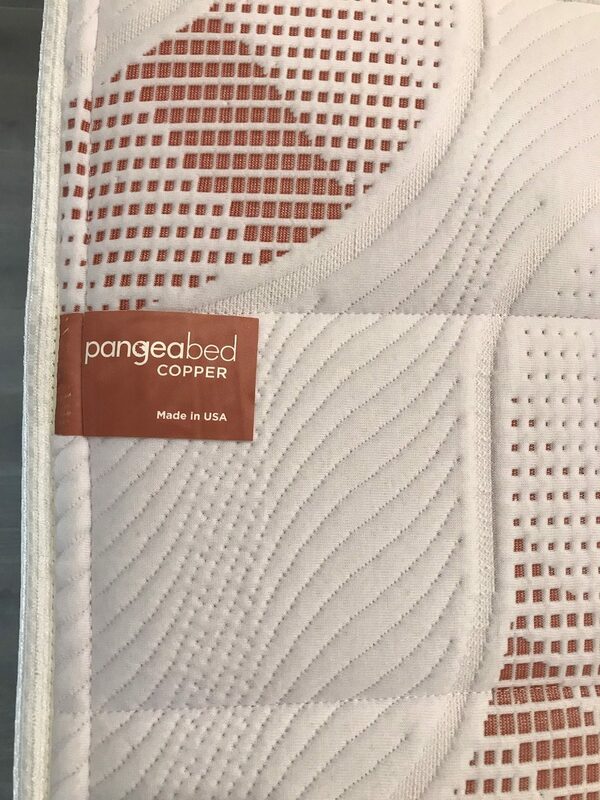 Pangea uses a multistage washing process with their Talalay latex used in their mattress and pillow. This process removes residual soap, curing agents, and proteins thus making the Talalay Latex hypoallergenic. Pangea’s top layer of Talalay Latex provides superior pressure relief. Talalay Latex is also known for breathing well so heat retention is a non issue. Copper is also infused into the latex which adds a natural antimicrobial shield and cooling properties to your sleeping environment. The 2nd layer is comprised of Pangea Phase Change Gel Infused Memory Foam. This layer is helpful with the overall comfort of the mattress, while adding durability and cooling. The 3rd layer, base layer, is comprised of high density foam. The solid core with give the sleeper long term support and comfort throughout the mattress lifespan. What type of sleep style works best for the Pangea Mattress? Talalay Latex provides a cloud like sleep experience. With latex, you don’t have the sinking feeling that you experience with memory foam. Due to that, all sleep styles would sleep well on the Pangea Mattress. How much does the Pangea Mattress cost? What type of warranty does Pangea Mattress have? Pangea offers a 100 night sleep trial in addition to a 10 year warranty. 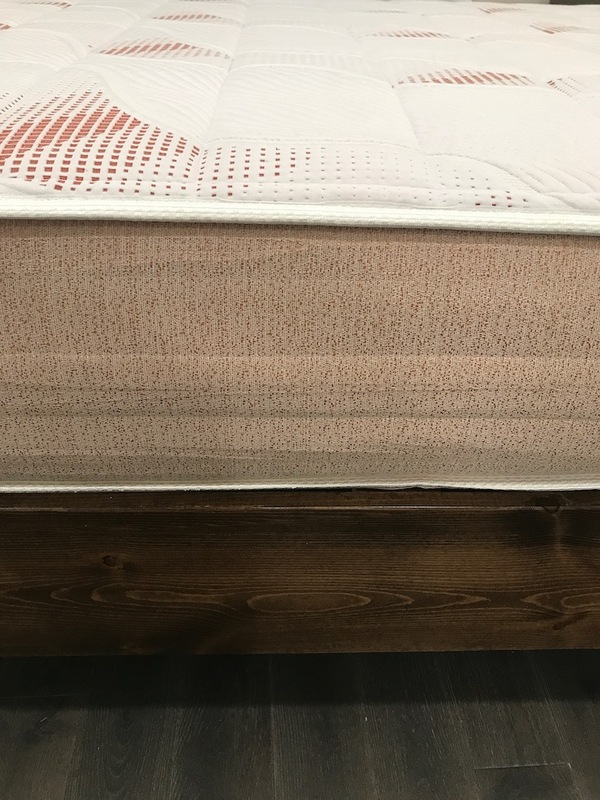 What surface is best for my Pangea Mattress? We reviewed our mattress on a platform bed. Pangea works well with a box spring, platform bed, or the floor. Any hard surface will work well for Pangea. Do we recommend the Pangea Mattress? Pangea Mattress is super high quality and provides a way healthier sleeping environment. After sleeping on Talalay Latex, we realized what we had been missing out on. 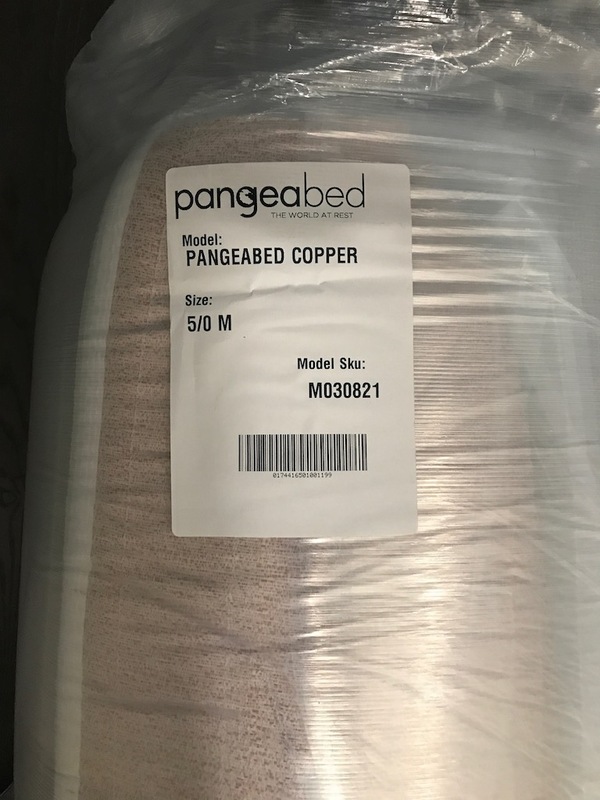 The health benefits of copper combined with the ultimate comfort of Talalay Latex make the Pangea Mattress a steal for consumers looking for a high quality, clean sleep experience. Learn more about the Pangea Mattress here….